Talk by Dr Celistina Sagazio - Governor Hotham’s Memorial. Dr Celestina Sagazio is historian and manager of Cultural Heritage of the Southern Metropolitan Cemeteries Trust. She previously worked as an historian for the National Trust of Australia (Victoria) for twenty-six years. She is the author and editor of a number of publications, including Cemeteries: Our Heritage, Conserving Our Cemeteries, The National Trust Research Manual and Women’s Melbourne. Governor Sir Charles Hotham helped spark the historically significant Eureka Stockade Rebellion in Ballarat in 1854. He died in 1855 and a very unique monument, designed and built in England by George Gilbert Scott and John Birney Phillip, was placed on his grave. 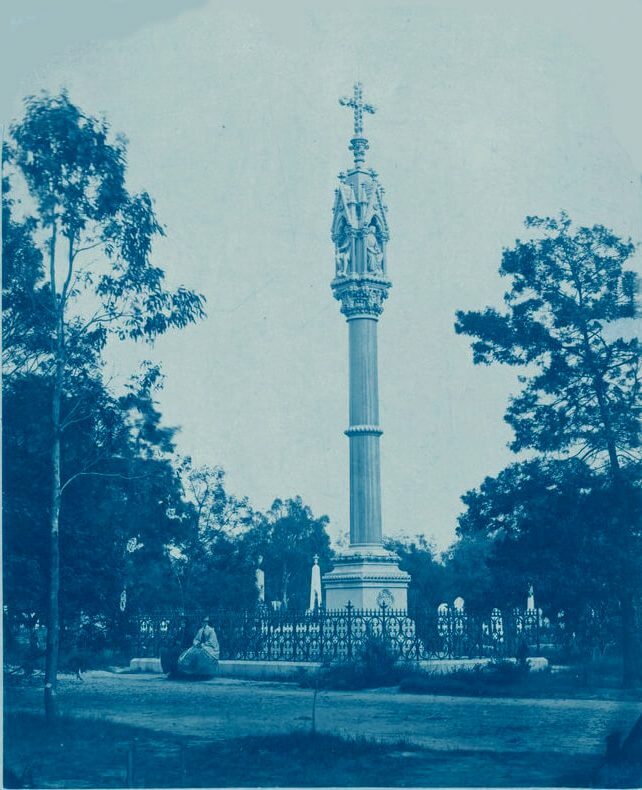 In the mid-1990s the column began leaning precariously and for public safety reasons it was dismantled and currently stored in Springvale Botanical Cemetery, awaiting the time when we could restore it.